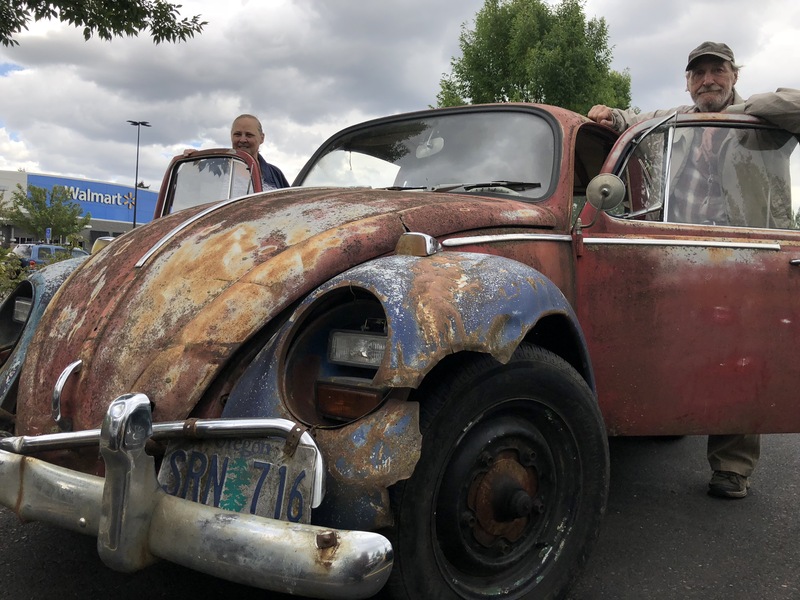 I spotted Linae in his ’65, VW Bug and followed him for few blocks, then into the parking lot of Walmart. 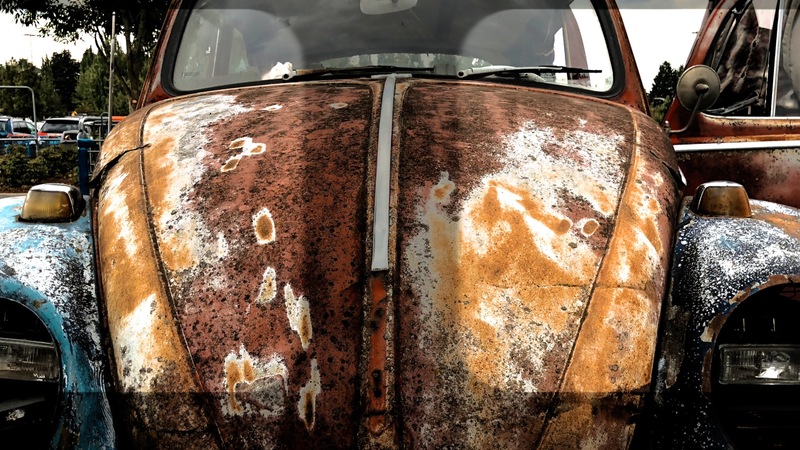 His car has 400,000 miles on it. An ex-marine and “get the job done” kind of guy, he says he can go coast to coast in his enchanted rust bucket no problem. The seats fold back for sleeping. He travels with his partner, but she says she hasn’t actually slept in this bug.